Before we tackle the question, let’s discuss the background of bow hunting first. Hunters in the modern world have a whole collection of various weapons for hunting. The most challenging yet interesting hunting weapon is the bow. Bowhunting has a history of thousands of years. 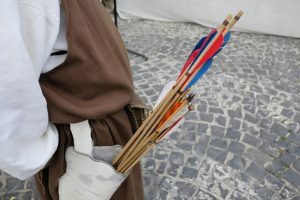 The present tools are quite different from the stone age tools, but the expertise needed for bow hunting is still the same. The arrows of the modern world go farther and pierce deeper than before. Bows are light and strong, and there are even different types of bows now, like complex compound and round curve bows. Stands and blinds give us the upper hand against our prey, but to actually be as well as our ancestors we need years of skill development. For bow hunting, one must have the skills, the ability to move fast and quietly, the knowledge of the game, and the sense of purchasing the correct items to be a success at this sport. Bow hunters must excel the skills to get close to their prey for a clean, quick and flawless kill. Hunters should be so good that they can distract the senses of their prey enough to not allow them to hear, see or smell right. With the development of this sport, rules and regulations have also been defined by the governments of different countries. This sport does not mean buying just about anything, wearing camouflaged clothes and carrying a bow. These sports has its own rules and regulations which is why it is important to learn what is the legal draw weight for bow hunting, considering the fact that every states and country has different rules. The answer is not that simple as there is a different answer for every other country and even states in the US. Draw weight is the measurement of the force that is provided by us to pull the bow in its full range of stretching. It is measured in pounds. The strength of a bow is calculated by the maximum draw weight and the draw length of the arrow. The weight is measured in pounds as stated and the length is measured in inches. 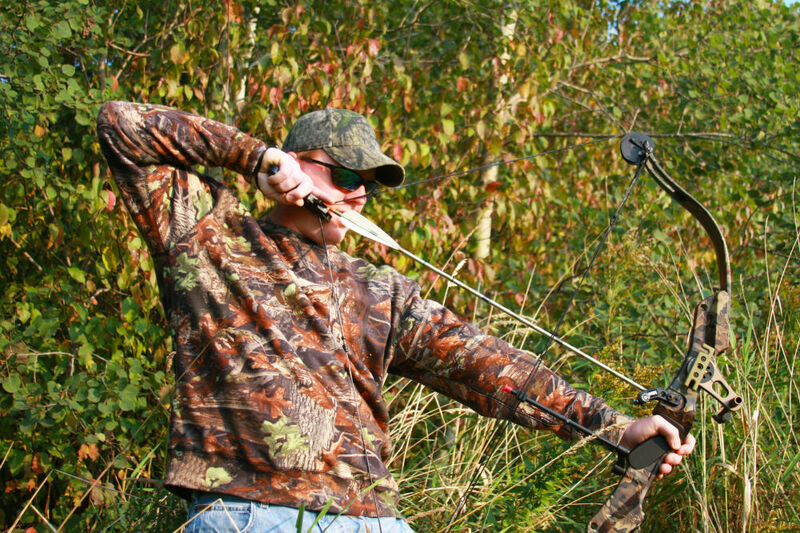 People tend to simply purchase the largest available bow weight, but they do not understand that the environment, the weather, and the position can change the way a person handles that much draw weight. The reason is that pulling the string gets harder if you are sitting. Also, in cold weather, muscles tend to get stiff and work less effectively. Draw weights can be determined by the type of animal that one aims to hunt, by the legal regulation of the country or state that bowhunting is being done in. The legal draw weight is 35-40 pounds generally. It varies in different states and countries. The choice of draw weights also depends on the aspect that one is considering, for example, the state or the animal. An average game requires 35+ lbs. of draw weight. If you plan for a larger game, for example, to hunt a moose or an elk, the draw weight should be above 50 pounds. There is another advantage of buying sensibly, lighter weights. The lighter the weight, the higher the speed, and the flatter the trajectory. Average males prefer 50-60 pounds of draw weight, whereas women, on average, prefer 30-40 pounds. The animals that are most commonly hunted by a bow hunter are the elk, the moose, the whitetail deer, an average deer, the antelope, and the bear. According to animals, for a perfect kill, one must have the following draw weights. For a whitetail deer, the hunter is advised to take a draw weight of 40 pounds. For a moose, the hunter is advised to take a draw weight of 65 pounds. For an average deer, the hunter is advised to take a draw weight of at least 35 pounds. For an antelope, the hunter is advised to take a draw weight of 40-65 pounds, depending on the size of the antelope. For a bear, the hunter is advised to take a draw weight of 40 pounds to more 65 pounds according to the size. For an elk, the hunter is advised to take a draw weight of at least 60 pounds. The average legal draw weight has already been discussed. However, various states have their own laws. States like Alaska, Arizona, Georgia, Kansas, Kentucky, Michigan, Mississippi, New York, Tennessee, Texas, South Carolina, Vermont, California, Missouri, Iowa, West Virginia, and Virginia do not have any law that states the minimum or maximum ranges of the draw weights. On the other hand, some states have following limits for draw weight. 40 to 50 Pounds – In Alaska, Rhode Island, and Oregon, the maximum draw weight is 40-50 pounds. 40 Pounds – In Arkansas, North Carolina, Connecticut, Oklahoma, Massachusetts, New Hampshire, Utah, Washington, Wyoming, and Illinois, the minimum draw weight is 40 pounds. 35 Pounds – In Colorado, Delaware, New Jersey, New York, Indiana, Louisiana, Florida, and Hawaii, the minimum draw weight is 35 pounds. 30 Pounds – In Maryland and Minnesota, the minimum draw weight is 30 pounds. In Idaho, the maximum draw weight is 40-150 pounds. In Nebraska, the minimum draw weight is 125 pounds. In North Dakota, the minimum draw weight is 50 pounds. In Pennsylvania, the maximum draw weight is 30-200 pounds. In South Dakota, the minimum draw weight is 30-50 pounds. In Wisconsin, the minimum draw weight is 100 pounds. In summary, different countries have different laws depending on the hunted animals and the location. The environment, the weather and the person itself are all also taken into consideration. Find draw length When Does Bowhunting Start?